Perry Bellegarde’s recent letter to Foreign Affairs Minister Chrystia Freeland adds to mounting concerns that the Liberals may ease demands for an Indigenous chapter in NAFTA as Canadian negotiators seek to bridge gaps keeping Canada away from a revamped deal. 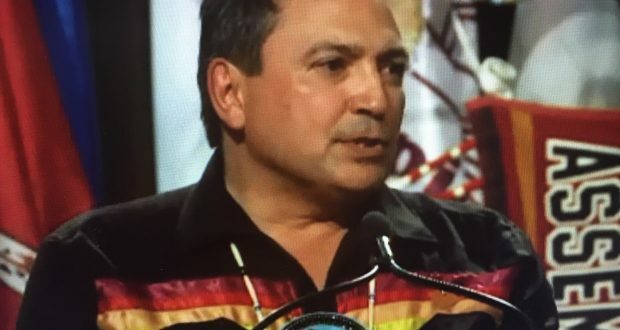 Bellegarde, who is part of an advisory committee on the trade deal, believes dropping the Indigenous chapter would be a lost opportunity for the country and set back efforts on economic reconciliation with First Nations. A spokesman for Freeland says Canada still believes in the principles outlined at the beginning of negotiations, but the government won’t discuss any specifics given the intense nature of talks.